If tennis fans know one thing about young players, it’s never to fully trust someone dubbed an “up-and-comer.” We tend to get ahead of ourselves projecting young, talented individuals across all sports, but tennis analysts may do it most. Perhaps it’s due to the natural inclination to look for the players who will eventually command our attention once the golden generation ages out. 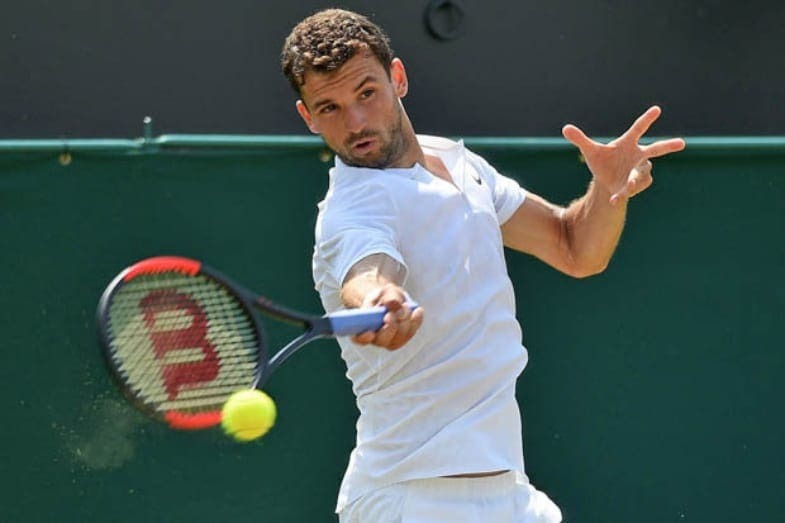 Whatever the case, a seemingly endless stream of young men have been given the label, or something close to it, in the last five years or so: Borna Coric, Bernard Tomic, Grigor Dimitrov, Nick Kyrgios, and so on. Some of these players have found success, and may have their best days ahead of them. Coric just made a nice run in the U.S. Open and is still only 21 years old. Dimitrov, despite a generally disappointing 2018, won the ATP World Tour Finals in 2017. Kyrgios is still widely believed to be a top-five talent held back only by a sub-100 disposition. Dominic Thiem has been among the up-and-comers as well, and just had one of the most impressive performances of the year in a losing effort to Rafael Nadal that left little doubt he’ll find his way to Slam titles. Even so however, tennis commentators tend to casually label about 50 players at a time as future top-10 guys. That was true until about the mid- to late-2000s, when Andre Agassi finally called it quits, James Blake’s career was slowed by injury and illness, and Andy Roddick ran up against the brick wall of Prime Federer. And then, all of a sudden, it seemed there was an end to the U.S. supply of men’s tennis stars. Robby Ginepri made a fluke semi-final at the U.S. Open. Mardy Fish was surprisingly exciting for a few seasons. And John Isner and Sam Querrey emerged to carry the torch for the U.S. for the better part of a decade – each capable of great moments and big wins, but neither up to the standard that was set over decades of American dominance (though Isner fought through some tough matches for a nice quarterfinal run this year). Now, however, there are many who believe we’re on the cusp of a new era in American men’s tennis. It’s been said before – most notably when Ryan Harrison was believed to be a potential Slam contender – but this time feels different. To hear the McEnroe brothers talk about the young American men starting off on the pro tour the last few years, you’d believe we’re reaching the culmination of a decade-long plan to improve youth development. And they should know, as both are deeply and admirably involved in American youth tennis. So far, this heralded generation has been a little bit slow to surface. Among the biggest names commonly labeled up-and-comers are Frances Tiafoe, Noah Rubin, Taylor Fritz, and Michael Mmoh. Sometimes also listed alongside these players are Reilly Opelka (a giant), Jared Donaldson (an incredible shot maker when he’s on), and Ernesto Escobedo. 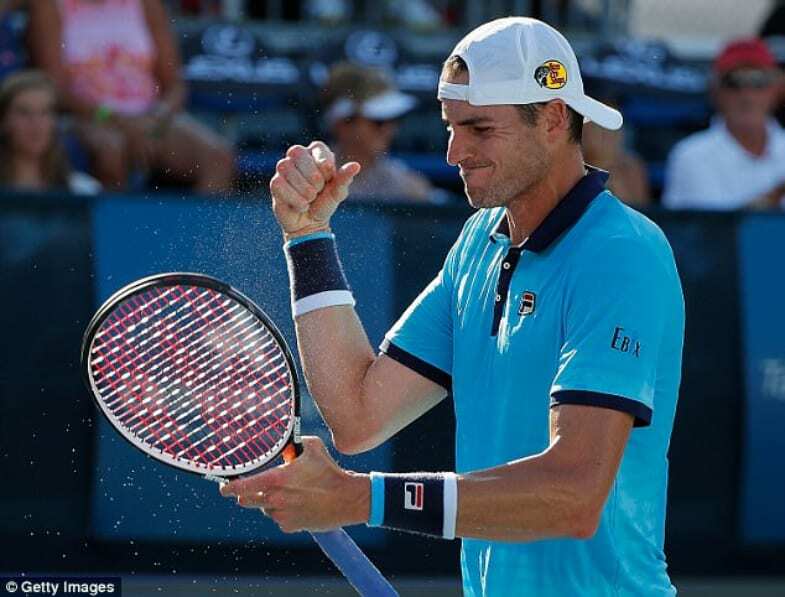 It’s a good bet most casual fans still haven’t heard these names, with the possible exception of Tiafoe, who appears to have the highest ceiling of the bunch, and who pushed Roger Federer to a dramatic fifth set just a year ago at the 2017 U.S. Open. And unfortunately, this year’s Slam in New York did little to put them on the map. Opelka and Escobedo both lost in qualifying and Donaldson was forced to sit out a first round match due to a knee injury. Of the players who did compete, Mmoh and Rubin both lost in the first round, Tiafoe lost in the second (in the de Minaur match referenced above, in fact), and Fritz in the third. That means that of seven young Americans meant to comprise a next generation of potential greatness, the cumulative 2018 record at the home Slam was 3-3. It wasn’t exactly inspiring stuff. The good news, however, is that the same seven players still have an average age of about 20.8 years old, and the modern understanding of a tennis player’s prime is pushing toward 30. Furthermore, there is still belief in this group of players. The court for the second round match between Tiafoe and de Minaur was packed to capacity – not unheard of by any means, but at least somewhat unusual for an early round match, when spectators are typically drifting around between different courts and matches. The crowd was there to see Tiafoe following his impressive first round showing against Adrian Mannarino, and it was expecting a win against an Australian opponent who (you guessed it) people are calling an up-and-comer. For whatever reason, Tiafoe came out flat and didn’t really sink his teeth into the match until it was too late. Credit de Minaur for playing clever and fearless tennis in what was effectively a home stadium for Tiafoe. But then consider what it means that there was a homes stadium for Tiafoe – a 20-year-old who has yet to make it to the fourth round of a Grand Slam tournament. 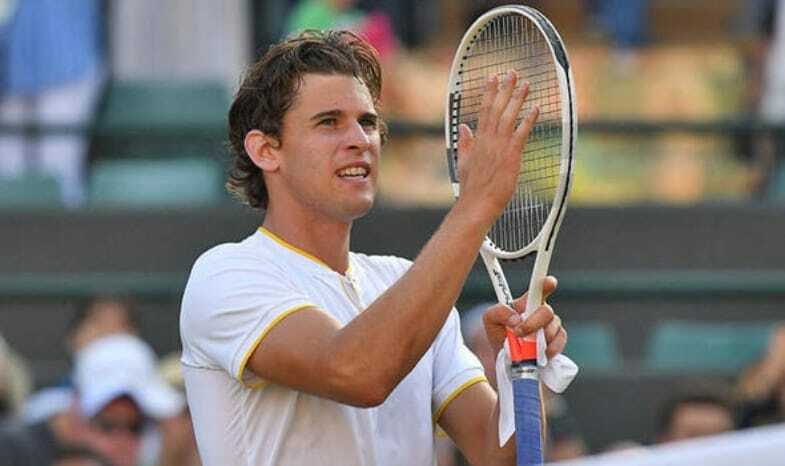 Then consider Dominic Thiem, whom I mentioned earlier as an example of potential star working out. Around early September in Thiem’s age 20 season, he was ranked 216th in the world. A year later he was 45th, a year after that 20th, and then, when he was 23 at the U.S. Open, 10th. Now 25, he can still be labeled one of the most promising players on tour. There are some exceptions, such as the ultra-talented Alexander Zverev, who has already become an off-and-on top-five player. But Thiem is a reminder that at this stage we shouldn’t really expect these guys to become the players they’re going to be until their mid- to late-20s. Clearly, Thiem is also an example of player development working out just about perfectly, and not all of the young American men are going to follow a similar trajectory, if any of them do. Still, the path of this successful up-and-comer demonstrates that while we’re still waiting for an American breakthrough, we should probably expect to be. It was a frustrating showing for a generation burdened with great expectations. But even limited Slam experience counts for something, and in five years we might look at early-round exits for the likes of Tiafoe and Fritz as being every bit as unusual as the idea that Thiem was once ranked 216th in the world.